When you write and publish a book, the next step is to think about how you’re going to market it. A book launch is a great way to get your name out there, and also raise awareness of your new book whether it’s your first or your fifth. So, how do you go about organising a book launch and what do you need to know? Before you can even begin to organise a book event, you need to determine how much you’re willing to spend. For many indie authors starting out, money can become very precious so make sure your book launch doesn’t turn into a bottomless money pit. On the other side, try to be realistic about how much you are willing to spend. It’s no good restricting yourself to a budget of £100 when venue hire might snap that up on its own. How far afield you are willing to travel? Venue is a tricky one, mainly because it could make or break your book launch. If you manage to find the ideal venue then your book launch is almost guaranteed to be a success, however, choose poorly and this could have consequences. So, if you’re not getting the right vibe from a place, then walk away. Many libraries won’t be able to help out, which seems almost contradictory to their purpose. You will find the odd one or two nearby that will have access to lecture halls and theatres, and these will be available for hire, but the cost could be too high. Alternatively, it’s worth asking if they have any other spaces that you could use out of normal hours for a more relaxed environment. If you can’t come to an agreement with your local library, then it’s time to think outside the box. Try approaching local book stores, both independent and otherwise. Many national chains such as Waterstones do host book launches and can also partner with you for a cut of the profits. Some stores will either take a percentage or an up-front fee. It may be quite difficult convincing the local Waterstones manager to invest in an event for your book, so start with the Independent stores. 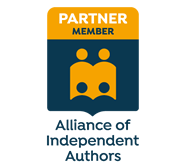 Many independent stores will have a vested interest in Indie authors and will also stock their books. You may also be able to negotiate a better rate than with a national chain. If you find yourself drawing a blank, then it really is time to think outside of the box. Investigate local businesses that are invested in local culture and you might be surprised. There are a wide variety of organisations that support local artists, and you may find that some of these would be willing to host a book launch. When it comes to finding the right venue, take into account how many people it can comfortably hold. You don’t want it to be too big, but you can’t have it too small either. It may also be that the venue can only cater to a select number, be sure to find this out before committing. You need to make sure that people know about your event. Chances are, your venue is going to support you as much as possible because they’ll want a good crowd as well. So, leverage that where you can. Invite local writers – if you’re involved in local writing groups, or know of any writing organisations, extend invitations to include them. This almost goes without saying, but to boost numbers, think about inviting friends and family. They might not buy a book but they will definitely help fill the venue and provide you with the support you need. You can also leverage their help with the set up and organisation of the event. If you’re uncomfortable with managing Facebook Ads, but know someone who can do it for you, then this is the perfect time to ask for their help. Although you have the venue booked, and you’ve got a healthy number of people coming, you now need to think about how you’re going to entertain during the launch. Some authors give a lengthy reading, which although may seem appropriate, could be dull for some of your guests. That doesn’t mean you can’t do a reading, just remember to keep it short and sweet. However you decide to do it, be sure to keep the momentum going throughout the launch. If you’re going to do signings at the end, then you need to ensure that people are engaged and enjoying themselves throughout. A book launch is a great publicity opportunity for writers, but when it comes to organising it yourself, it can become quite stressful. There are a lot of components to think about and a lot of ways it could go wrong. Thorough planning and a well-thought out launch can be hugely successful and also help to boost sales. Don’t lose faith in yourself but tackle the challenge head on and I’m sure it will be a success! Let me know if you have any of your own tips to add to the list and whether or not they’ve helped you to achieve a book launch success.